The JP135 is John Packer’s Bb valve trombone. Ideal for valve players who want to dabble with a trombone without learning slide positions. Also very handy for trumpet teachers to take to trombone lessons to help the student learn and focus on the sound. The JP135 features a 12.30mm bore, an 8” bell and nickel silver valves. The JP135 Bb also has applications for pit players where playing space needs to be kept to a minimum. 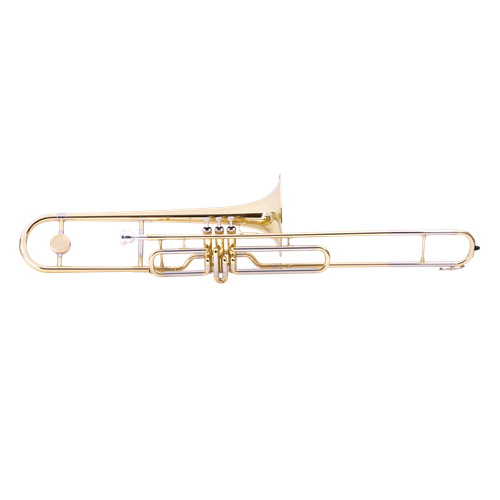 This eye catching trombone is sure to turn heads and is a fun addition to players’ instrument collection.